The Farm Cottage offers cosy comfortable backpacker-style accommodation for up to 11 people and is perfect for groups or families. 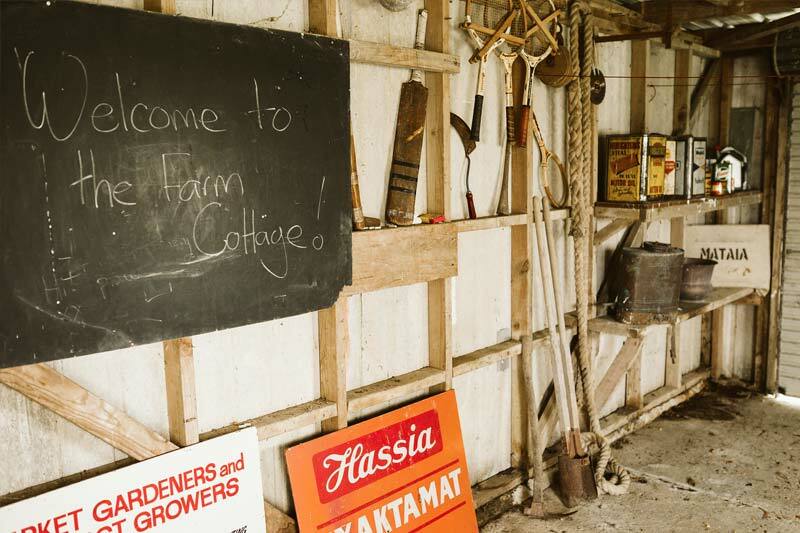 Like many farm cottages, this one was moved onto Mataia Farm as the surrounding land was developed and more man-power was needed to run the farming operation. Originally from the Grafton Bridge area in central Auckland, the house was picked up and moved in two pieces in the early 1960s to the northern end of the farm, which was then surrounded by low-lying scrubland. Sited for magnificent views over the Kaipara Harbour out towards the Kaipara heads, the cottage has had a modern renovation and features an open-plan kitchen, dining and living area which spills out to a large outdoor entertaining area with BBQ and outdoor table & chairs. 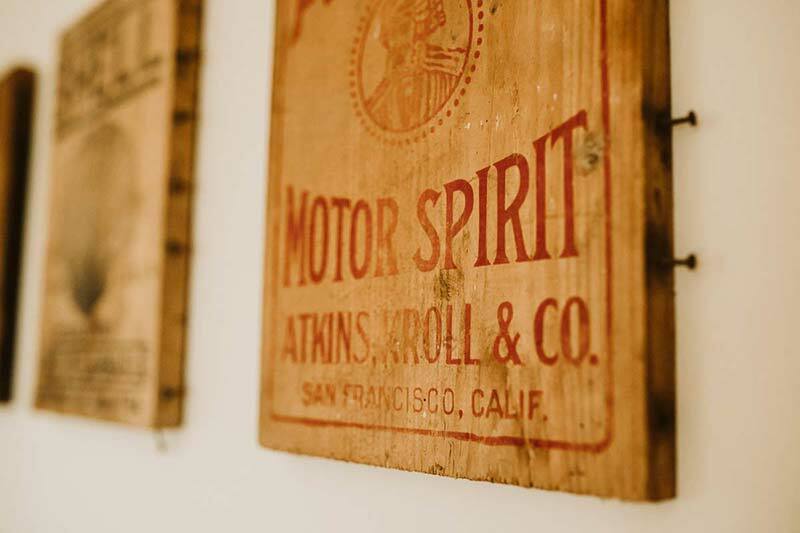 The house is decorated with mementos of yester-year. 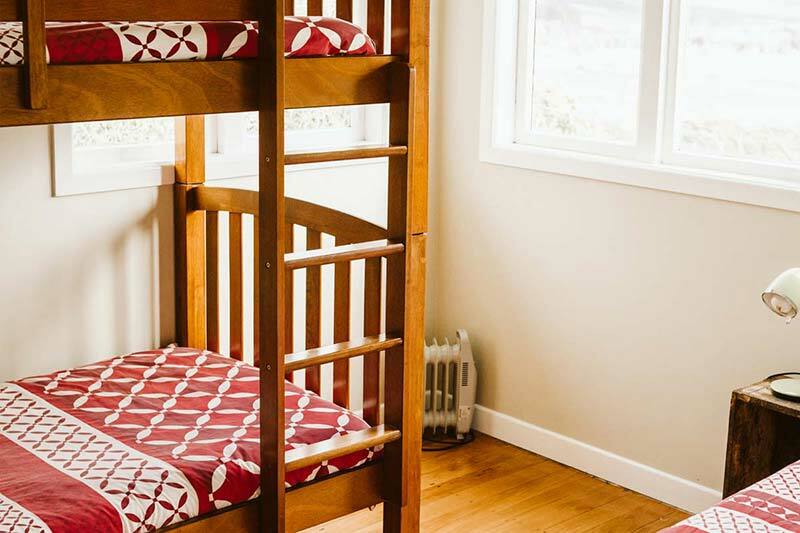 There are 4 bedrooms featuring a mix of single and bunk beds, one and half bathrooms and a laundry area. 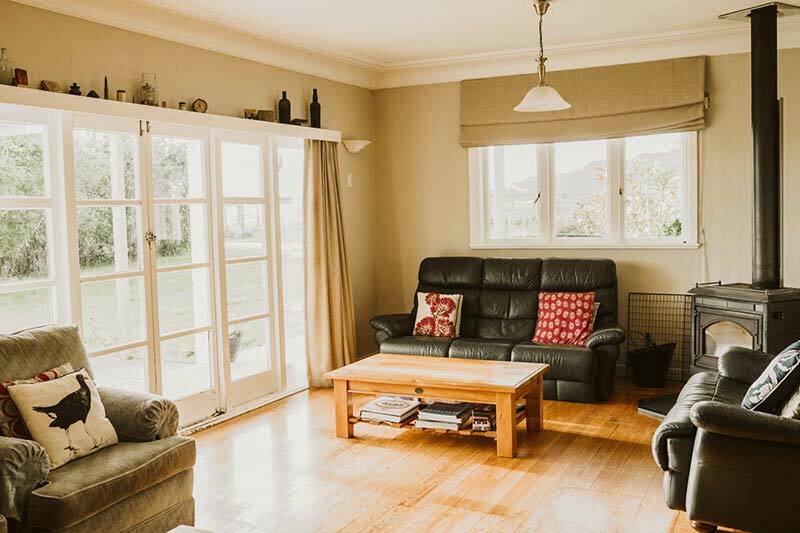 Located right in the middle of farmland, the house sits on a fully fenced section with plenty of room for children to run around and build huts in the trees in the gardens while enjoying supervision from nosy cows or sheep in the neighbouring paddocks. Basic supplies provided include: tea, sugar, coffee (instant and plunger), herbal teas, salt, pepper, oil, flour, some basic tins and packet items. Tin foil, baking paper, cling film, paper towels, tea towels, and cleaning products are all supplied. Essentials are all provided including full linen, towels and body wash. There is good cellphone reception at the farm cottage but please note that WIFI is not provided. Enjoy a technology-free holiday or free Wifi spots are provided at the local libraries in Wellsford and Helensville.